Why Get the Kit? You Ask. 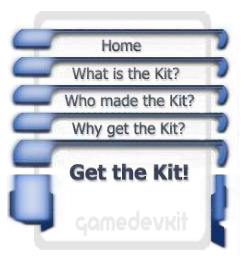 If you have looked through this site and checked out the What, and Who of the Kit, and are not convinced that this is the real deal or that it's not worth the cost to you, read through the series of articles from the creator of the Kit, Game Attorney Tom Buscaglia, linked below. Just what are These Games Made of...Legally? And if you are still not convinced, how about this...I will send you a check for 15% of the value of any purchase from anyone who says you got them to Get the Kit! This offer is only open to those who already got the Kit...but it is my way of providing you with something back for helping get the word out about the Kit! Also as a NEW special Bonus....Get 20% Discount on first 10 Hours of Tom's time for all people who have purchased the Kit!